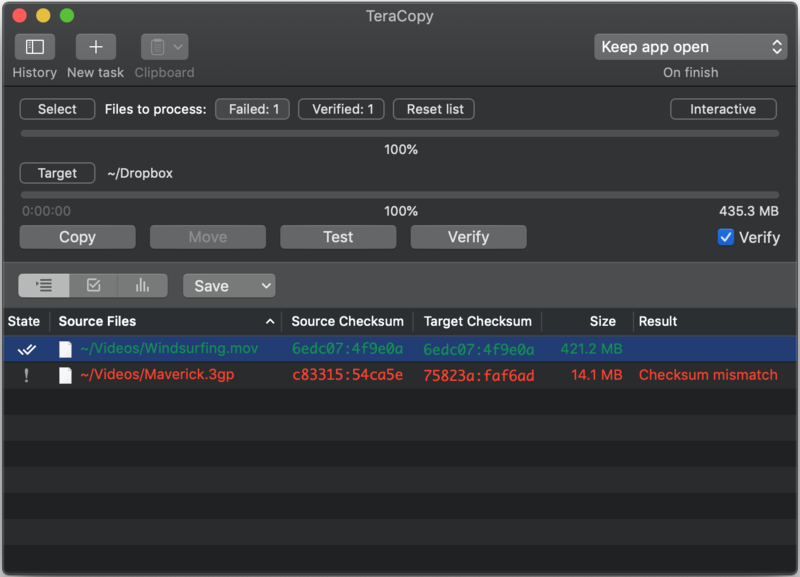 In case of a copy error TeraCopy will try to recover. If unable to recover in the worst case scenario it will simply skip the problematic file, not terminating the entire transfer. Supported algorithms: MD5, SHA-1, SHA-256, and SHA-512. 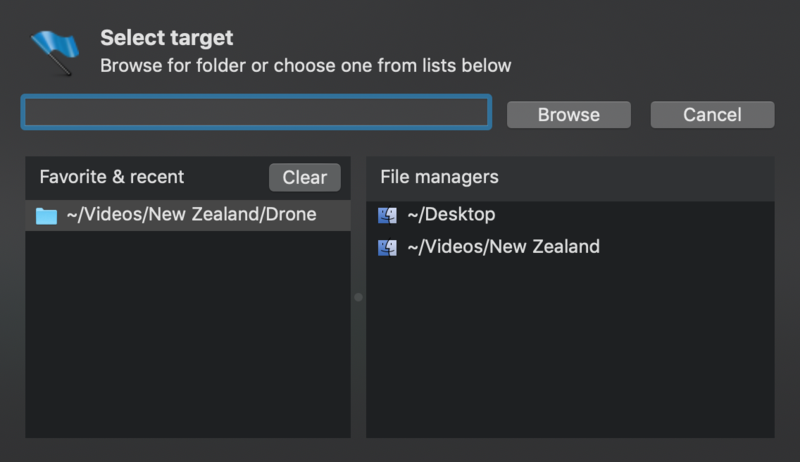 TeraCopy allows you to quickly select a folder that is currently open in Finder and use it as a destination. 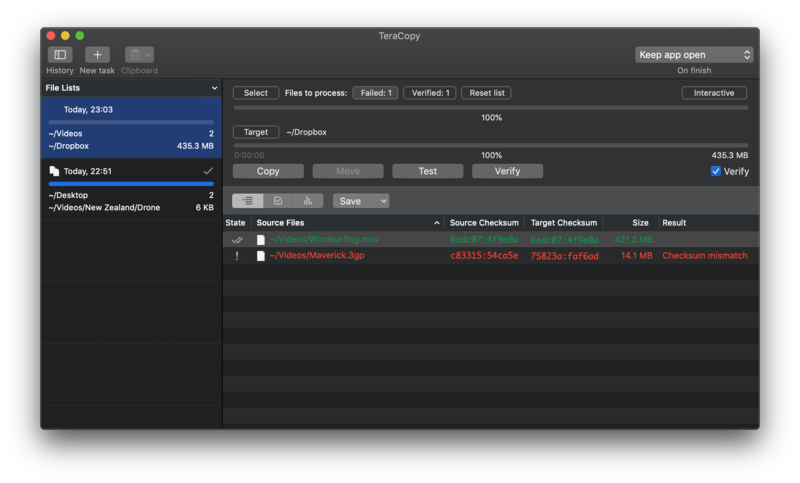 TeraCopy can keep the history of recent file transfers, and repeat them if necessary. 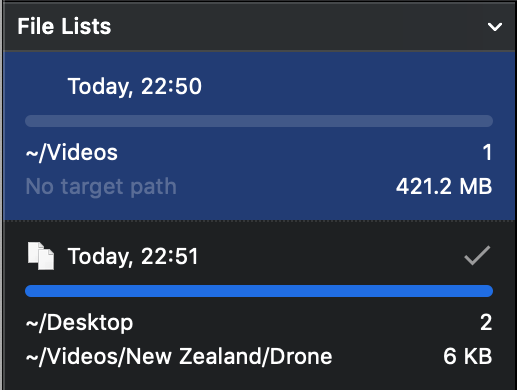 TeraCopy can copy files to a folder opened in Finder with Cmd + Alt + V shortcut.